The more we think about it, the more Craig Pawson absolutely done us yesterday. Fans are focussing more on the stale first-half performance and have in many ways let the referee off the hook. But at the end of the day, regardless of we played, we deserved minimum one and possible two penalties in the second-half. We hope these would have earned us a draw, but in the end, Liverpool only scored once in the second-half and lost 2-1 at Old Trafford, putting us five points behind Manchester United in 2nd place. More irritatingly, Chelsea won, which means we’re just four points clear of fifth place. We know we’re entitled to be angry because neutral pundits have heavily backed our campaign. Chris Kamara has no affiliation to Liverpool but thinks we were completely robbed by Pawson. “I’ll go with three. 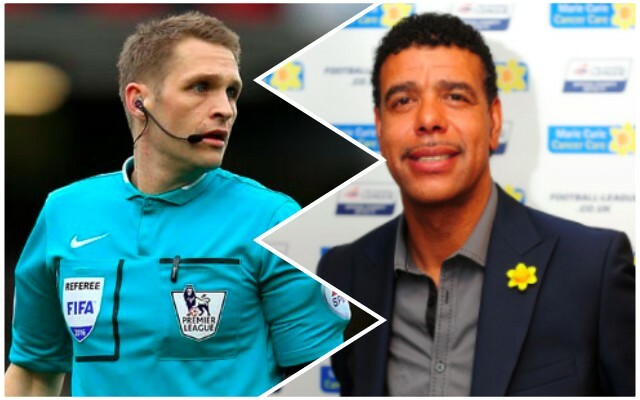 One is dubious, one is in the hands of the referee,” the pundit told Sky Sports, cited by the Mirror. “You saw at Bournemouth (last week, at Leicester) that you very rarely get two away from home but how he can not give them one in this particular game? “This first one (Bailly on Milner) – how is that not a penalty? Bailly just comes across now, with his leg across Milner. “Salah (is the dubious one), he is one of those players who doesn’t go down and wants to stay on his feet. A little bit of a tug. “This one (the Valencia handball), obviously it’s not deliberate,” he added. “We see that but this is always the referee’s interpretation. “Look at the Liverpool players. To a man, arms up, they know there’s been a handball and they’re hoping the referee comes to it. “The only thing you would say is that he’s a long way away. “This one (Fellaini on Mane) is absolutely stonewall. “There’s no ifs or buts about it. Once you kick somebody in the back of the leg like that, they suffered a few weeks ago in the same situation against Spurs, and so, they would have expected it. Hopefully next weekend we won’t have to rely on the referee using his brain and our forwards will re-find their feet. At Old Trafford, they were starved of space and chances, but while Watford will look to shut up shop, hopefully more opportunities will present themselves.